Oh, you thought breaking one wooden board was cool? How quaint. 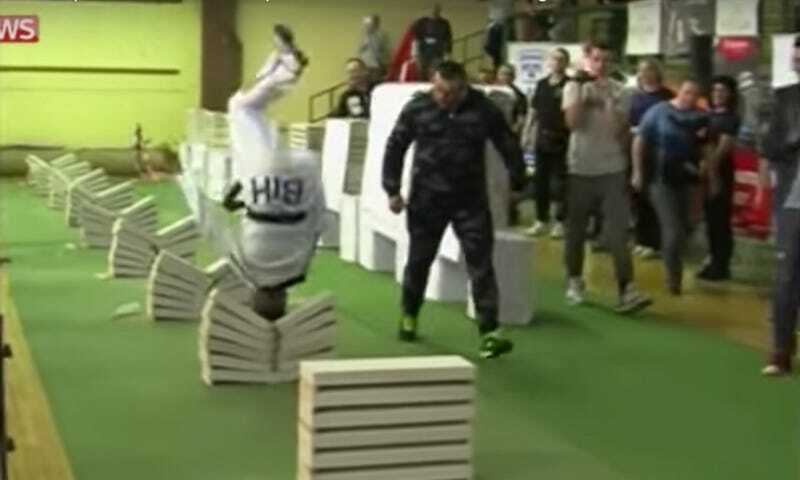 This weekend, 16-year-old taekwondo guy Kerim Ahmetspahic broke 111 concrete blocks in 35 seconds with just his dome. Ahmetspahic flipped head-over-heels 20 times in his pursuit of this apparent world record, which would make me pass out before we even got to the smashing objects part.